Designed for compact storage, multi-functionality, and comfort, this Compact Sear & Roast Pan is a modern twist on classic All-Clad d3 Stainless. 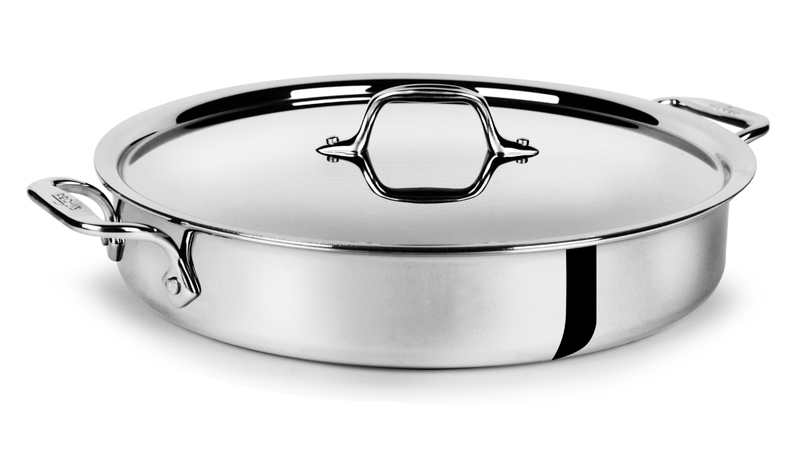 This pan will quickly become your go-to pan. It features two loop handles, riveted to the pan, to make it easy to move from stovetop to oven to table, and then store neatly in a small standard cabinet. 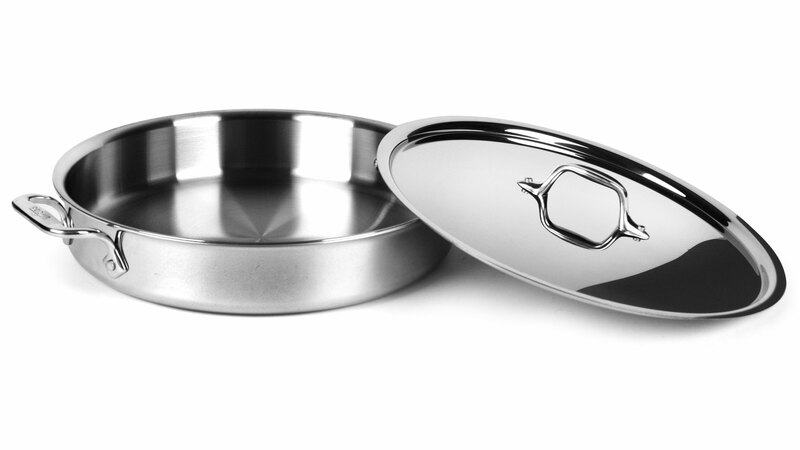 Flared edges allow for accurate, drip-free pouring. 3-ply bonding combines a conductive aluminum core with durable stainless steel all the way to the rim for even heat and reliable performance. 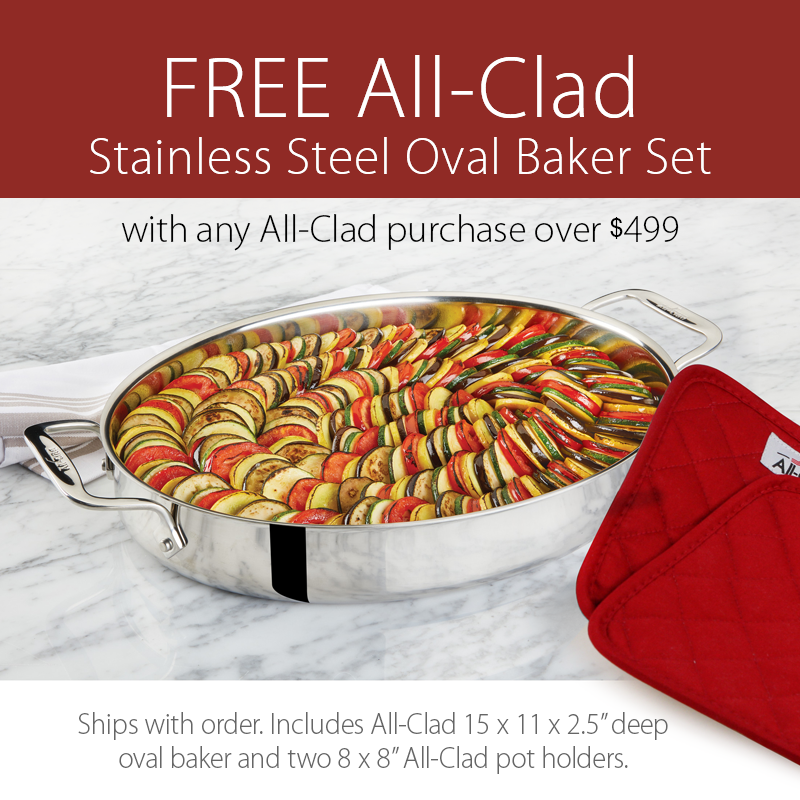 Made in the USA with premium American metals, this stainless steel pan offers warp-resistant strength and dishwasher safe convenience, plus it is safe for gas, electric, ceramic and induction stove tops. 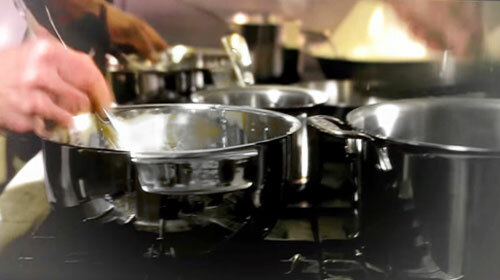 Discover what it means to cook with All-Clad and a collection designed to fit how you cook and live.